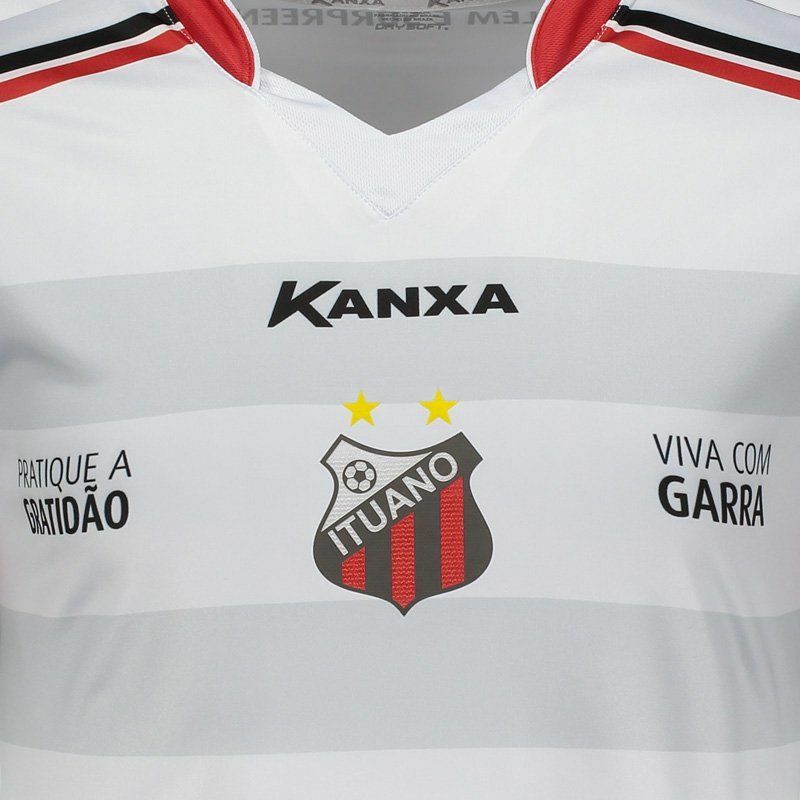 Kanxa presents the reserve shirt of Ituano for 2018, ideal for fans to use in games and day to day. With an assorted number printed on the back, the piece is made of lightweight polyester and features DRY SOFT Kx 108 technology. More info. 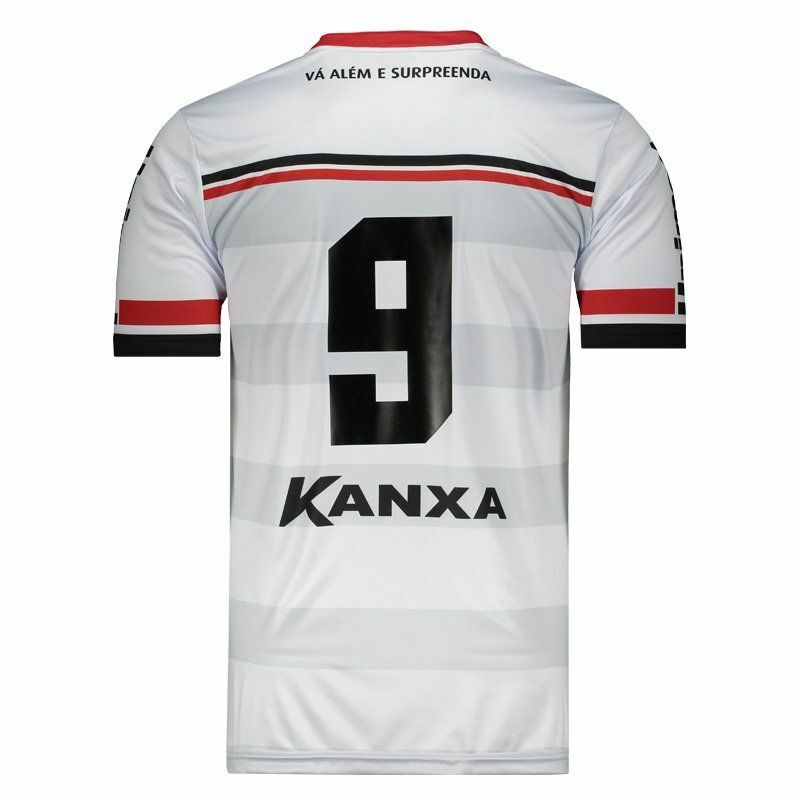 Kanxa presents the away shirt of Ituano for 2018, ideal for fans to use in games and day to day. With an assorted number printed on the back, the piece is made of lightweight polyester and features DRY SOFT Kx 108 technology, made of 108-strand polyester microfibre, which provides extreme softness to the touch and faster transport of sweat to the outer layer of the product, allowing greater stability of body temperature during movements. 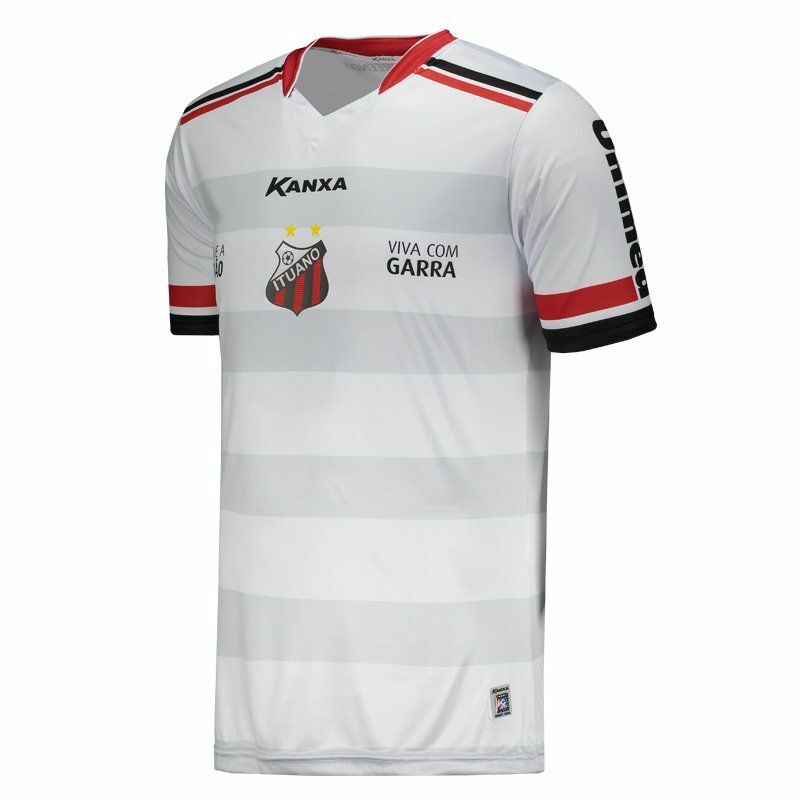 Its design is predominantly white with vertical stripes in gray, plus black and red details seen on the cuff of the sleeves. The red color also appears on the collar which, in turn, is V with differentiated cut. 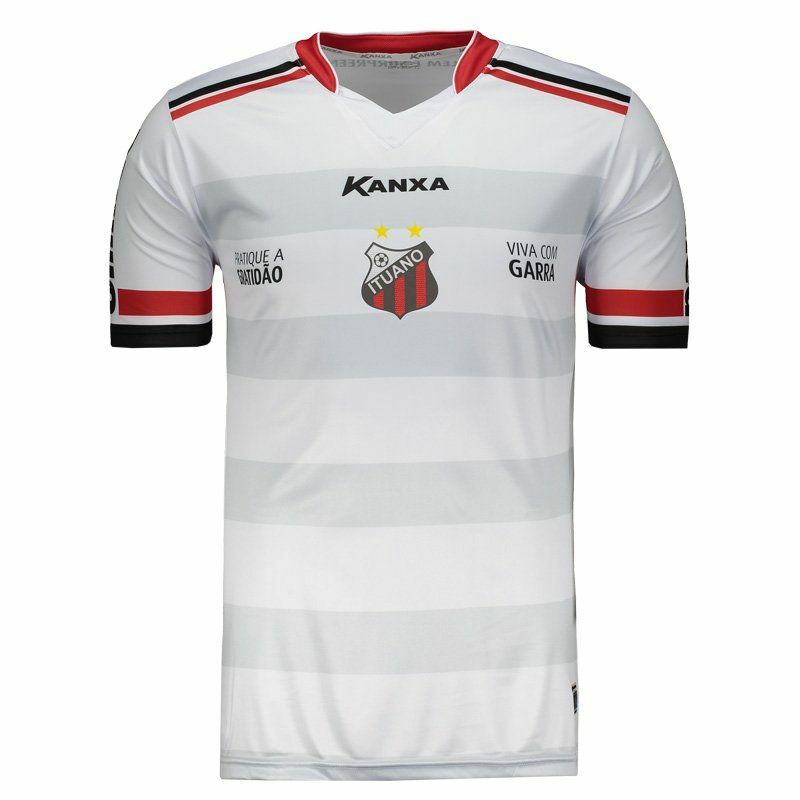 On the chest are the inscriptions "Practice gratitude" and "Live with claw" and the club badge appears on vinyl in the center. Already on the back, the phrase "Go beyond and surprise" appears just below the nape of the neck and, finally, patronage stamped can be seen in its composition.